God Starts 2013 Off With a Prophetic Atom Bomb! This is a HUGE event in prophecy. Bringing a “Lost Tribe” back to Israel is like an A-Bomb in the prophetic world! Glory to God. TEL AVIV – A “lost tribe” has come home to Israel and the return could be part of biblical prophecy. CBN News was at Ben Gurion Airport when more than 50 members of the Bnei Menashe tribe made history. The group was just the first of a long-awaited migration. Nearly 2,000 tribe members live in Israel, but five years ago the government stopped their return. The Lord our God has promised to bring His people, the Jews, back to His land. For the Lord to kick off 2013 with a “Lost Tribe” returning to His land is a prophetic event and fulfillment of massive proportions It’s as if the Lord is shouting from the heavens, “you haven’t seen anything yet, this year will be a year to remember!” What a way to start 2013! Israel for whatever reason stopped the return of this lost tribe for over two years. God, however, opened the door for His people to return. What God promises He completes! This is just one more proof that the Lord always honors His Word and Promises. This also is evidence to all the scoffers that God is moving powerfully today and His return is very near. 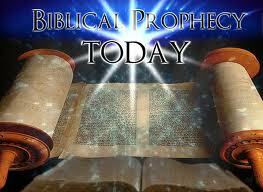 Please read the prophecy in Isaiah, it will bless you and thrill you. Click Here to read it now. I am so excited about this development that it’s hard to write this report. I’m actually quaking at this news. I can’t wait to see what our God shows us in this new year. I am looking forward to His developments with great anticipation! Please join with me and give a literal shout of praise to the Lord for this miracle that He performed in our generation for all who love Him to see. Praise the Lord one and all! Keep looking up because Messiah’s return is at the door! Has America has crossed the Rubicon? I am the founder and publisher for the news analysis site, Prophecy Insight's, that is dedicated to providing you with up to date intelligence and analysis from the perspective of Bible prophecy, with an emphasis on Israel and what the Lord is doing in the Last Days. We help you to connect the dots between our headlines of today and the Bible. 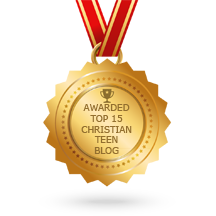 This entry was posted in A CLICK A BLESSING TODAY, CHRISTIAN TAGALOG BLOGS, CHRISTIAN TEENS BLOGS, CHRISTIAN URDU BLOGS, LAST DAYS and tagged 12 tribes of israel, A-Bomb, Ben Gurion Airport, Biblical Prophecy, Bro Stef, CBN News, CBS News, Isaiah, Jews, Lord, Lord Jesus Christ, Lost Tribe, Lost Tribes of Israel, members of the Bnei Menashe tribe made history, praise the Lord, Prophecy, Tel Aviv, The Good Shepard. Bookmark the permalink. 9 Responses to God Starts 2013 Off With a Prophetic Atom Bomb! Praise the Lord. What He says He will do and no man can stop it. His Word does not change. He is the Author and Finisher of our faith.